The 'Post-Apocalyptic Campaign' thread mentioned elsewhere has got me thinking: Has anybody ever used the Cthulhu Mythos as 'the enemy' in a completely different setting such as for example the out of print system 'Skyrealms of Jorune' ? The thought of playing completely non-human 'investigators' on some far off world also troubled by creatures of the mythos is an appealing one.Anyone got any thoughts on this? If you get a chance to look at Dark Space for SpaceMaster, or Chaositech for D&D 3e, do so. Both are by Monte Cook, and he's clearly a long time Cthulhu fan - Dark Space was IIRC his first solo game design project (for ICE in the early nineties) and is basically about the Mythos in a Space Opera setting. Chaositech is the Mythos intruding in to a D&D setting (The Galchutt, the "Gods of Ultimate Chaos", number among them Abhoth...). And I'm sure you've seen the Cthulhu Rising stuff. The difficulty is keeping the feel as one would want it. For example, if you run straight Jorune with the Shantha and some of the other more outre aliens as being very alien (which is what I do, Lem's Solaris is a big influence on my conception of Jorune) then achieving the degree of contrast between them and the mythos could be tricky... On the opther pseudopod if the 'aliens' are all at least potentially comprehensible to humans, then it's easier to put 'clear air' as it were between them and the mythos entities. Certainly, using a maore dark edge feel will work. And of course, there is Warhamer and Warhammer 40,000... Avoid Peter Hamilton's Nightsdawn Trilogy: whether one likes it or not, it certainly takes it's intial blending of SF and Horor in an unproductive direction as far as this discussion is concerned. And it must be said that my long term plot ideas for Jorune were alwasy rather mythos-like in feel: horrible things left in the Isho, mad bio-tec research splicing Earth and Jorune biologies in to unstable hybrids (I had huge fun with a sequence set in Glounda forest inspired by the Fall of the House of Usher actually), the legacy of the Laomorii. Have you seen the Last Log, the SF Cthulhu scenario from White Dwarf? There are certain aspects of Tekumel that are very Lovecraftian - the Lords of Change are bad enough (like the corpse lord Sarku, or the god of forbidden wisdom Ksarul), but the Pariah Gods could be straight from the pages of Howard or HPL. The stand apart from the five Lords of Stability and the five Lords of Change; their worship was banned thousands of years ago and their temples destroyed, but their worshipers secretly plot their return to power. The Goddess of the Pale Bone, who combines the worst aspects of Nyarlathotep and Yog-Sothoth, is particularly nasty and makes Ksarul look like Nodens on a bad hair day. I personally wouldn't call any of the aspects of Tekumel Lovecraftian, however, it would be quite easy to drop Lovecraftian elements into Tekumel. It would also be easy to drop CoC investigators into Tekumel. Actually, with players that know absolutely nothing about Tekumel, that most likely would feel quite Lovecraftian Maybe I'm just to familiar with Tekumel to think it has a Lovecraftian feel. One obvious setting that is rather different, and has been used before is Cyberpunk. I believe this is what GURPS CthulhuPunk is, and there was an article 10+ years ago on merging CoC with CyberPunk 2020. Along those lines, Shadowrun would probably be a very easy fit. Another interesting genre that might be a fun fit would be SteamPunk. Although that could be classified as Gaslight meets Pulp. The idea of the players taking the part of Alien characters on a totally Alien world and fighting the Mythos is an interesting one, but it's worth noting that it would take a lot of work on the part of the Keeper. It would require a very talented Keeper and Players both. Basically if the Keeper wouldn't feel comfortable trying to run a game set on Tekumel (and few do), I don't think that they should attempt this. If you think about it, to some extent or another every setting of any popularity has seen Mythos activity. One of the things I've always liked about Cthulhu is that it is almost entirely background material. CoC itself is set in the 'real' world, but the players are unfortunate enough to see a little bit underneath of the consensual reality. From this POV, you can drop the Mythos into any game and/or genre you want with very little rewriting of the official background material. All the that stuff is the reality that the PCs have grown up knowing. The truth is the GOO etc. Excellent short scenario - I remember it well - all the illustrations were done with photos of minifig dioramas weren't they? A fellow gamer I know developed a CoC setting he called 'Cthulhu Survivor' in the early 90s, which was set on a post-apocalyptic Earth, where the stars were right and the Great Old Ones ruled the planet. Was a great game, but it kindof fizzled out and he got bored of it. I actually have a sci fi game that could lend itself quite well to Cthulhu with a few tweaks here and there. Initially I wrote it in honour of my favourite TV series Twin Peaks. It occured to me that Sci Fi would be an excellent setting to make the supernatural element that little bit more creepy. I'm currently in the process of re-writing it in PDF format to a much more professional standard, but the old format still exists on my site if anyone wants to take a look. Just pop over to the scenario section and look up "Mirramount". I have to disagree - The Goddess of the Pale Bone has an extremely R.E. Howardesque mythos feel to her, and I have used the Book of Ebon Bindings as inspiration for particularly horriffic summoning ceremonies. 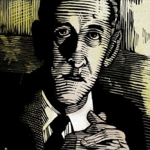 While I agree that as a whole, Tekumel is very different in feel from Lovecraft, I think that the 'Pariah Gods' were most likely inspired by HPL's work. Since I've not read R.E. Howard's mythos stories, with one exception, in nearly 20 years, I can't comment on this I guess. I didn't get into EPT until about 10 or 11 years ago. I'm also planning on using the Eberron setting in D&D to run a game that is loosely connected to my CoC campaign.